The leading players in the piezoelectric motor market are focusing on product innovation and safety and advanced features. 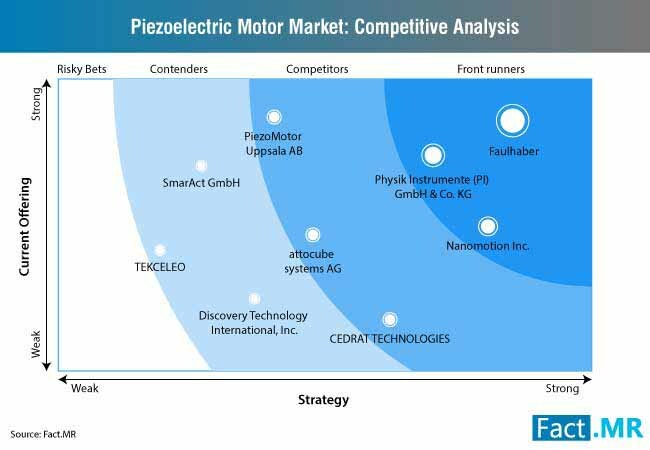 Some of the top companies in the piezoelectric motor market are Faulhaber, Physik Instrumente (PI) GmbH & Co.KG, and Nanomotion Inc.
With increasing application of piezoelectric motors in areas of prosthetics, robotics, pumps, medical devices, and laboratory automation, key players are focusing on developing products that provide high torque in a short time. For instance, Faulhaber acquired Dimatech SA, a manufacturer of the stepper motor and expanded its product portfolio of stepper motors in high performance level for application in robotics, automation, and medical technology. Fact.MR’s study offers incisive insights on the Piezoelectric Market. A summary of the report is available upon request. Medical equipment and device manufacturers are rapidly moving towards using piezoelectric motors as compared to electromagnetic motors. Piezoelectric motors are finding a wide application across medical devices including surgical devices, 3D scanners, MRI compatible robotics, ultrasonic emitters, drug delivery devices, laser beam steering, and devices used in dermatology, cosmetology, and ophthalmology. The rise in miniaturization of devices and need for speed, force, and accuracy in devices with micrometer and nanometer range is driving the demand for piezo linear motors. Moreover, the rise in the new medical device development and approval is resulting in the increasing piezoelectric motors sales. For instance, the US Food and Drug Administration in 2018 approved more than 40 medical devices. In recent years, there has been a significant growth in outpatient therapy which relies on the mobile drug pumps. Recent developments in drive system based on piezo motors are providing perfect size, weight, reliability, and flexibility for mobile drug pumps. 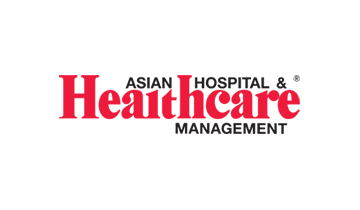 This is likely to create opportunities for medical device manufacturers. Medical devices and equipment manufacturers are also focusing on using ultrasonic linear piezoelectric motors and piezo stepper motors, especially for large travel ranges when high speed is required. In recent years, an increasing number of devices and equipment used across various industries are developed using piezoelectric motors. Owing to the rise in electrical and mechanical issues, with electromagnetic motors, the manufacturers are shifting towards piezoelectric motors in a wide variety of applications that need precise control of tiny ranges. The use of wide range of PID controllers or position sensors, the piezoelectric motors are likely to witness large application in fiber-optic positioning, semiconductor test equipment, manufacturing process control, computer disk drives, robotic positioning, etc. small, compact, and providing higher torque and force are some of the major factors driving demand for piezoelectric motors. Meanwhile, high holding torque capacity along with the rapid start and stop characteristics are resulting in significant growth in the piezoelectric motor market. Originally developed for microscopy, piezoelectric inertia motors are witnessing growing demand in mass produced consumer goods. New inertia motors in a multitude of designs are being developed for new scanning tunneling microscopes and other scanning microscopes. With the rise in a number of advanced features in the smartphones, consumers are looking for image quality and performance in smartphones to be similar to the digital cameras. Hence, smartphone manufacturers are developing camera phones with auto focus function and optical zoom function using piezoelectric motors. The growing demand for faster focus, continuous autofocus for clear picture and video, and rapid picture taking has resulted in the development of piezoelectric motor coupled with the new micro-mechanical design. This has minimized lens tilt, enabling high-precision imaging. Smartphone companies are also using piezoelectric motors and actuators in smartphones for vibration cancellation, emitting sound through the screen to the ear. Piezoelectric ultrasonic motors are fast emerging as an alternative to electromechanical motors for smartphone cameras and other miniature product applications. Power efficiency, longer battery life, and quiet in operations are some of the benefits offered by piezoelectric ultrasonic motor, driving its demand in the smartphone industry. High production cost continues to hamper the industrial use of piezoelectric motors. Piezoelectric motors are originally handmade, hence, the manufacturing process is expensive and labor intensive. Moreover, because the motor is handmade it is difficult to produce large quantities. Piezoelectric motors are also criticized for inconsistence performance, as the actual motor tend to be loose, which results in premature failure and inefficient performance. Hence, tight tolerances are required for the motor to work properly. The high cost of piezoelectric motors is also due to its short life and high wear of the motors. It has been observed that most of the times attachment between various components fail, moreover, contact point wear unevenly and quickly. Moreover, piezoelectric motors require high frequency power supply. Good frictional materials are important in developing piezoelectric motor as the force transformation is determined by friction at interface of the stator and rotor. Better frictional material is also necessary to ensure stable mechanical properties with respect to the environment and temperature changes. The Fact.MR report on the piezoelectric motor market provides comprehensive profiles of all the leading players in the market. The report also focuses on the both well-established and emerging players in the piezoelectric market. The study also includes essential information on the latest developments, trends, product offerings, and key financials of the major players in the piezoelectric motor market. Global expansion is one of the focus areas of the players in the piezoelectric motor market along with the new product launches. Faulhaber in January 2019 is planning to officially open FAULHABER Italia S.r.l sales company in North Milan. 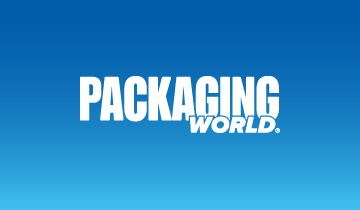 By opening sales facility, the company will take over its sales and service from Servotecnica S.p.A, its distributor in Italy. PiezoMotor is focusing on global development cooperation. The company has developed new micromotor and with good results achieved, the company is entering its next phase. The upcoming project phase includes electronics, inter alia optimization. The piezoelectric motor is a type of electric motor which is based on the change in shape of piezoelectric material on applying the electric field. The piezoelectric motor uses converse piezoelectric effect in which vibration or deformation of piezoelectric material produces an electric charge. Piezoelectric motor are compact, powerful and provide greater torque and force. The report on the piezoelectric motor market offers actionable and valuable insights into the new developments and growth opportunities in the piezoelectric motor market. The report also includes details on the factors influencing the growth in the piezoelectric motor market. Latest trends, growth opportunities, market drivers and challenges in the piezoelectric motor market are also provided in the report. 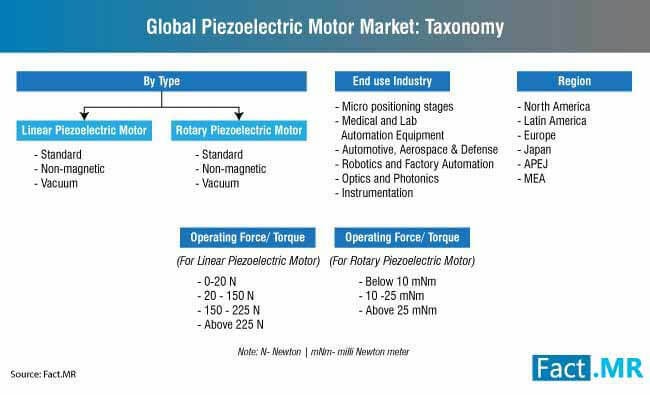 The piezoelectric motor market is segmented based on the type, end-use industry, and operating force/torque. For better understanding, all the major segments in the piezoelectric motor market are bifurcated into the sub-segments. 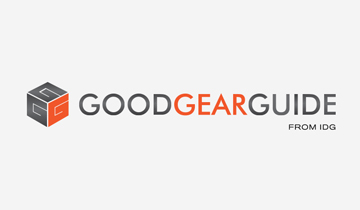 On the basis of type, the piezoelectric motor market is segmented into Standard LPM, Non?magnetic LPM, Vacuum LPM, Standard RPM, Non?magnetic RPM, and Vacuum RPM. Based on the end-use industry the piezoelectric motor is bifurcated into Medical and Lab Automation Equipment, Micro positioning stages, Automotive, Aerospace and Defense, Optics and Photonics, Robotics and Factory Automation, and Instrumentation. On the basis of operating force/torque, the piezoelectric market is segmented into 0-20 N, 20 - 150 N, 150 - 225 N, Above 225 N, Below 10 N, 10 -25 mNm, and Above 25 mNm. The report of the piezoelectric motor market also answers some important questions. Which type of motor will account for the largest share in terms of revenue in piezoelectric motor market? Which region is likely to hold the strong position in the piezoelectric motor market? 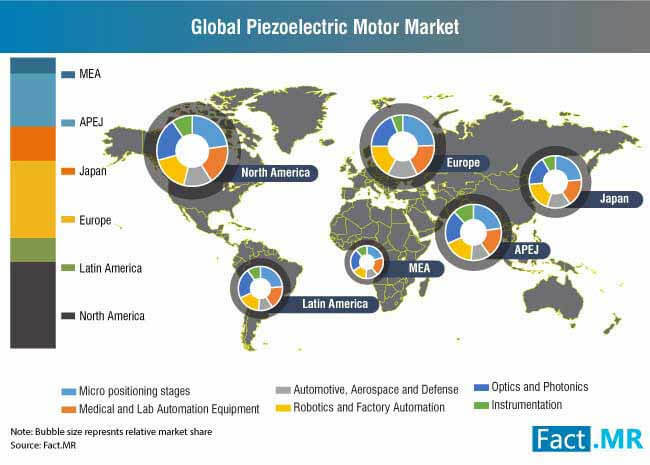 Which industry will emerge as the largest user of piezoelectric motors? What factors are hindering the growth of piezoelectric motors market across various regions? An extensive research methodology has been used to offer better insights and information on the piezoelectric motor market. The research methodology includes comprehensive primary and secondary research. Essential information on growth areas and challenges in the piezoelectric motor market have been obtained with the help of interviews conducted with industry experts. The secondary research done on the piezoelectric motor market helps in providing historical data and current data on the market along with the forecast. Both primary and secondary research help in providing accurate conclusions on the piezoelectric motor market. 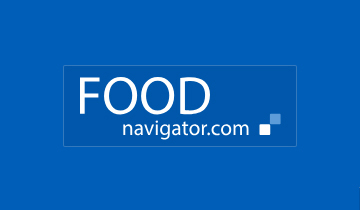 12.1.7 Discovery Technology International Inc.